Abstract：We determined three-dimensional tomographic images of P-wave velocity (VP), S-wave velocity (VS), VP/VS ratio, and P-wave anisotropy structures down to~150 km depth beneath Northeast Japan using a large number of first P-and S-wave arrival times of local shallow and intermediate-depth earthquakes. Our results show that zones of low-velocity and high VP/VS ratio exist beneath volcanoes in the lower crust and mantle wedge, which accords with the distribution of low-frequency microearthquakes (M<2.5). The low-velocity and high VP/VS anomalies in the lower crust and mantle wedge may be associated with fluids released from dehydration of the subducting Pacific slab and hot upwelling melts related to arc magmatism. The double seismic zone in the subducting Pacific slab is possibly induced by dehydration embrittlement of hydrous minerals. High VP/VS ratio anomalies are not dominant in the entire double seismic zone, which may be affected by the amounts of hydrous minerals in the subducting slab. Trench-parallel azimuthal anisotropy and positive radial anisotropy are dominant in the subducting slab and the overlying mantle wedge under the fore-arc, which are induced mainly by B-type olivine fabrics due to relatively low temperature and increasing water content from the slab dehydration. Our results indicate that the information of both seismic velocity and anisotropy is of great importance for understanding water migration in subducting zones. Barclay A H, Toomey D R, Solomon S C. 1998. Seismic structure and crustal magmatism at the Mid-Atlantic Ridge, 35 degrees N. Journal of Geophysical Research:Solid Earth, 103(B8):17827-17844. Eberhart-Phillips D, Henderson C M. 2004. Including anisotropy in 3-D velocity inversion and application to Marlborough, New Zealand. Geophysical Journal International, 156(2):237-254. Engdahl E R, Lee W H K. 1976. Relocation of local earthquakes by seismic ray tracing. Journal of Geophysical Research, 81:4400-4406. Green H W, Houston H. 1995. The mechanics of deep earthquakes. Annual Review of Earth and Planetary Sciences, 23(1):169-213. Green H W, Chen W P, Brudzinski M R. 2010. Seismic evidence of negligible water carried below 400-km depth in subducting lithosphere. Nature, 467(7317):828-831. Guo X Z. 2016. Experimental study of the electrical conductivity of the hydrous minerals in the crust and the mantle under high pressure and high temperature. Science China Earth Sciences, 59(4):696-706. Hacker B R, Peacock S M, Abers G A, et al. 2003. Subduction factory 2. Are intermediate-depth earthquakes in subducting slabs linked to metamorphic dehydration reactions?. Journal of Geophysical Research:Solid Earth, 108(B1):2030, doi:10.1029/2001JB001129. Hacker B R, Abers G A, Peacock S M. 2003. Subduction factory 1. Theoretical mineralogy, densities, seismic wave speeds, and H 2 O contents. Journal of Geophysical Research:Solid Earth, 108(B1):2029, doi:10.1029/2001JB001127. Hacker B R. 2008. H2O subduction beyond arcs. Geochemistry, Geophysics, Geosystems, 9(3):Q03001, doi:10.1029/2007GC001707. Hasegawa A, Umino N, Takagi A. 1978. Double-planed deep seismic zone and upper-mantle structure in northeastern Japan arc. Geophysical Journal of the Royal Astronomical Society, 54(2):281-296. Hasegawa A, Yamamoto A. 1994. Deep, low-frequency microearthquakes in or around seismic low-velocity zones beneath active volcanoes in northeastern Japan. Tectonophysics, 233(3-4):233-252. Hasegawa A, Nakajima J, Yanada T, et al. 2013. Complex slab structure and arc magmatism beneath the Japanese Islands. Journal of Asian Earth Sciences, 78:277-290. Hirschmann M M. 2006. Water, melting, and the deep earth H2O cycle. Annual Review of Earth and Planetary Sciences, 34(1):629-653. Horiuchi S, Ishii H, Takagi A. 1982a. Two-dimensional depth structure of the crust beneath the Tohoku district, the northeastern Japan arc. I. Method and Conrad-discontinuity. Journal of Physics of the Earth, 30:47-69. Horiuchi S, Yamamoto A, Ueki S, et al. 1982b. Two-dimensional depth structure of the crust beneath the Tohoku district, the northeastern Japan arc. 2. Moho discontinuity and P-wave velocity. Journal of Physics of the Earth, 30:71-86. Hu H Y, Dai L D, Li H P, et al. 2017. Influence of dehydration on the electrical conductivity of epidote and implications for high-conductivity anomalies in subduction zones. Journal of Geophysical Research:Solid Earth, 122(4):2751-2762. Huang Z C, Zhao D P, Wang L S. 2011. Shear wave anisotropy in the crust, mantle wedge, and subducting Pacific slab under northeast Japan. Geochemistry, Geophysics, Geosystems, 12(1):Q01002, doi:10.1029/2010GC003343. Huang Z C, Zhao D P, Liu X. 2015. On the trade-off between seismic anisotropy and heterogeneity:Numerical simulations and application to Northeast Japan. Journal of Geophysical Research, 120(5):3255-3277. Hyndman R D, Shearer P M. 1989. Water in the lower continental crust:modelling magnetotelluric and seismic reflection results. Geophysical Journal International, 98(2):343-365. Hyndman R D, Klemperer S L. 1989. Lower-crustal porosity from electrical measurements and inferences about composition from seismic velocities. Geophysical Research Letters, 16(3):255-258. Hyndman R D, Peacock S M. 2003. Serpentinization of the forearc mantle. Earth and Planetary Science Letters, 212(3-4):417-432. Ichiki M, Baba K, Toh H, et al. 2009. An overview of electrical conductivity structures of the crust and upper mantle beneath the northwestern Pacific, the Japanese Islands, and continental East Asia. Gondwana Research, 16(3-4):545-562. Ishise M, Oda H. 2005. Three-dimensional structure of P-wave anisotropy beneath the Tohoku district, northeast Japan. Journal of Geophysical Research:Solid Earth, 110(B7):B07304, doi:10.1029/2004JB003599. Ishise M, Oda H. 2008. Subduction of the philippine sea slab in view of P-wave anisotropy. Physics of the Earth and Planetary Interiors, 166(1-2):83-96. Jung H, Karato S. 2001. Water-induced fabric transitions in olivine. Science, 293(5534):1460-1463. Kamiya S, Kobayashi Y. 2000. Seismological evidence for the existence of serpentinized wedge mantle. Geophysical Research Letters, 27(6):819-822. Karato S I, Jung H, Katayama I, et al. 2008. Geodynamic significance of seismic anisotropy of the upper mantle:New insights from laboratory studies. Annual Review of Earth and Planetary Sciences, 36(1):59-95. Katayama I, Hirauchi H, Michibayashi K, et al. 2009. Trench-parallel anisotropy produced by serpentine deformation in the hydrated mantle wedge. Nature, 461(7267):1114-1117. Kirby S. 1995. Interslab earthquakes and phase-changes in subducting lithosphere. Reviews of Geophysics, 33(S1):287-297. Kneller E A, Van Keken P E, Karato S I, et al. 2005. B-type olivine fabric in the mantle wedge:Insights from high-resolution non-Newtonian subduction zone models. Earth and Planetary Science Letters, 237(3-4):781-797. Koulakov I, Jakovlev A, Luehr B G. 2009. Anisotropic structure beneath central Java from local earthquake tomography. Geochemistry, Geophysics, Geosystems, 10(2):Q02011, doi:10.1029/2008GC002109. Liu X, Zhao D P, Li S Z. 2014. Seismic attenuation tomography of the Northeast Japan arc:Insight into the 2011 Tohoku earthquake (Mw9.0) and subduction dynamics. Journal of Geophysical Research, 119(2):1094-1118. Liu X, Zhao D P. 2016. Seismic velocity azimuthal anisotropy of the Japan subduction zone:Constraints from P and S wave traveltimes. Journal of Geophysical Research:Solid Earth, 121(7):5086-5115. Long M D, Van Der Hilst R D. 2005. Upper mantle anisotropy beneath Japan from shear wave splitting. Physics of the Earth and Planetary Interiors, 151(3-4):206-222. Mainprice D, Ildefonse B. 2009. Seismic anisotropy of subduction zone minerals-contribution of hydrous phases.//Lallemand S, Funiciello F, eds. Subduction Zone Geodynamics. Berlin:Springer-Verlag, 63-84. McGary R S, Evans R L, Wannamaker P E, et al. 2014. Pathway from subducting slab to surface for melt and fluids beneath Mount Rainier. Nature, 511(7509):338-340. Nakajima J, Matsuzawa T, Hasegawa A, et al. 2001. Seismic imaging of arc magma and fluids under the central part of northeastern Japan. Tectonophysics, 341(3-4):1-17. Nakajima J, Hasegawa A. 2004. Shear-wave polarization anisotropy and subduction-induced flow in the mantle wedge of northeastern Japan. Earth and Planetary Science Letters, 225(3-4):365-377. Ogawa Y, Ichiki M, Kanda W, et al. 2014. Three-dimensional magnetotelluric imaging of crustal fluids and seismicity around Naruko volcano, NE Japan. Earth Planets Space, 66:158. Paige C C, Saunders M A. 1982. Lsqr:an algorithm for sparse linear-equations and sparse least-squares. Acm Transactions on Mathematical Software, 8(1):43-71. Peacock S M. 2001. Are the lower planes of double seismic zones caused by serpentine dehydration in subducting oceanic mantle? Geology, 29(4):299-302. Pratt R G, Chapman C H. 1992. Traveltime tomography in anisotropic media-Ⅱ. Application. Geophysical Journal International, 109(1):20-37. Ranero C R, Morgan J P, McIntosh K, et al. 2003. Bending-related faulting and mantle serpentinization at the Middle America trench. Nature, 425(6956):367-373. Savage M K. 1999. Seismic anisotropy and mantle deformation:What have we learned from shear wave splitting? Reviews of Geophysics, 37(1):65-106. Tsuji Y, Nakajima J, Hasegawa A. 2008. Tomographic evidence for hydrated oceanic crust of the Pacific slab beneath northeastern Japan:Implications for water transportation in subduction zones. Geophysical Research Letters, 35(14):L14308, doi:10.1029/2008GL034461. Tsumura N, Matsumoto S, Horiuchi S, et al. 2000. Three-dimensional attenuation structure beneath the northeastern Japan arc estimated from spectra of small earthquakes. Tectonophysics, 319(9):241-260. Umino N, Hasegawa A. 1975. On the two-layered structure of deep seismic plane in northeastern Japan arc. 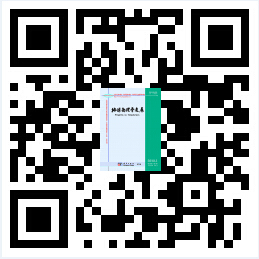 Journal of the Seismological Society of Japan, 27(2):125-139, doi:10.4294/zisin1948.28.2_125. Unsworth M, Rondenay S. 2013. Mapping the distribution of fluids in the crust and lithospheric mantle utilizing geophysical methods.//Harlov D E, Austrheim H eds.Metasomatism and the Chemical Transformation of Rock:The Role of Fluids in Terrestrial and Extraterrestrial Processes. Berlin:Springer-Verlag, 535-598. Wang J, Zhao D P, Yao Z X. 2017a. Seismic anisotropy evidence for dehydration embrittlement triggering intermediate-depth earthquakes. Scientific Reports, 7:2613. Wang J, Zhao D P. 2008. P-wave anisotropic tomography beneath Northeast Japan. Physics of the Earth and Planetary Interiors, 170(1-2):115-133. Wang J, Zhao D P. 2013. P-wave tomography for 3-D radial and azimuthal anisotropy of Tohoku and Kyushu subduction zones. Geophysical Journal International, 193(3):1166-1181. Wang Z, Zhao D P. 2005. Seismic imaging of the entire arc of Tohoku and Hokkaido in Japan using P-wave, S-wave and sP depth-phase data. Physics of the Earth and Planetary Interiors, 152(3):144-162. Wang Z W, Zhao D P, Liu X, et al. 2017b. P and S wave attenuation tomography of the Japan subduction zone. Geochemistry, Geophysics, Geosystems, 18(4):1688-1710. Wessel P, Smith W H F. 1998. New, improved version of generic mapping tools released. EOS, 79(47):579. Zhao D P, Hasegawa A, Horiuchi S. 1992. Tomographic imaging of P and S wave velocity structure beneath northeastern Japan. Journal of Geophysical Research:Solid Earth, 97(B13):19909-19928. Zhao D P, Matsuzawa T, Hasegawa A. 1997. Morphology of the subducting slab boundary in the northeastern Japan arc. Physics of the Earth and Planetary Interiors, 102(1-2):89-104. Zhao D P, Kitagawa H, Toyokuni G. 2015. A water wall in the Tohoku forearc causing large crustal earthquakes. Geophysical Journal International, 200(1):149-172. Zhao D P, Yu S, Liu X. 2016. Seismic anisotropy tomography:New insight into subduction dynamics. Gondwana Research, 33:24-43. Zheng Y F, Chen R X, Xu Z, et al. 2016. The transport of water in subduction zones. Science China Earth Sciences, 59(4):651-682. 杨佳佳, 张永庆, 谢富仁. 日本海沟俯冲带MW9.0地震震源区应力场演化分析[J]. 地球物理学报, 2018, 61(4): 1307-1324. 李振春, 刘强, 韩文功, 张敏, 王天琪, 肖建恩, 伍钧鸿. VTI介质角度域转换波高斯束偏移成像方法研究[J]. 地球物理学报, 2018, 61(4): 1471-1481. 温联星, 田冬冬, 姚家园. 地球内核及其边界的结构特征和动力学过程[J]. 地球物理学报, 2018, 61(3): 803-818. 吴珊珊, 姜明明, 何玉梅, 赵亮, 艾印双. 利用背景噪声成像研究合肥-金华剖面地壳速度结构及径向各向异性的东西差异[J]. 地球物理学报, 2018, 61(2): 584-592. 洪启宇, 李佳欣, 郑需要. 基于walkaway VSP下行P波的TTI各向异性参数反演[J]. 地球物理学报, 2018, 61(2): 625-635. 马妮, 印兴耀, 孙成禹, 宗兆云. 基于方位地震数据的地应力反演方法[J]. 地球物理学报, 2018, 61(2): 697-706. 张盼, 韩立国, 巩向博, 孙宏宇, 毛博. 基于各向异性全变分约束的多震源弹性波全波形反演[J]. 地球物理学报, 2018, 61(2): 716-732. 潘新朋, 张广智, 印兴耀. 非均匀正交各向异性特征参数地震散射反演方法研究[J]. 地球物理学报, 2018, 61(1): 267-283. 任政勇, 邱乐稳, 汤井田, 周峰, 陈超健, 陈煌, 胡双贵. 基于电流密度连续性条件的直流电阻率各向异性问题自适应有限元模拟[J]. 地球物理学报, 2018, 61(1): 331-343. 周建美, 刘文韬, 李貅, 戚志鹏, 刘航. 双轴各向异性介质中回线源瞬变电磁三维拟态有限体积正演算法[J]. 地球物理学报, 2018, 61(1): 368-378. 陈汉波, 李桐林, 熊彬, 陈帅, 刘永亮. 基于Coulomb 规范势的电导率呈任意各向异性海洋可控源电磁三维非结构化有限元数值模拟[J]. 地球物理学报, 2017, 60(8): 3254-3263. 崔清辉, 高雅健, 周元泽. 基于sP前驱震相叠加研究南美中部地区岩石圈-软流圈边界形态[J]. 地球物理学报, 2017, 60(7): 2589-2598. 谢振新, 吴庆举, 张瑞青. 青藏高原东北缘地壳各向异性及其动力学意义[J]. 地球物理学报, 2017, 60(6): 2315-2325.